Who wants to get whiter nails ? My review on Gemey Maybelline express manucure white. Today I want to quickly talk about a product I have been using for many years. I don’t recall how many years exactly but it has been 6 years at least. 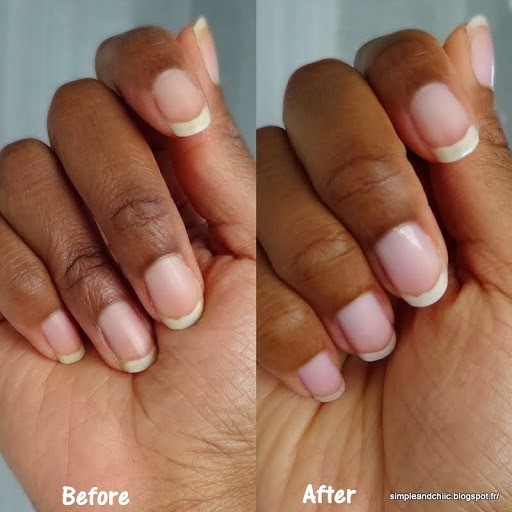 For a very long time I thought that the only way to get the white part of my nails whiter was to pay for a french manucure or to do it myself. The truth is that I don’t want to pay to get my nails done but at the same time I don’t have the skills neither do I have the time to do a nice manucure myself. For those reasons I was pleased when I found out about this product in a store one day. 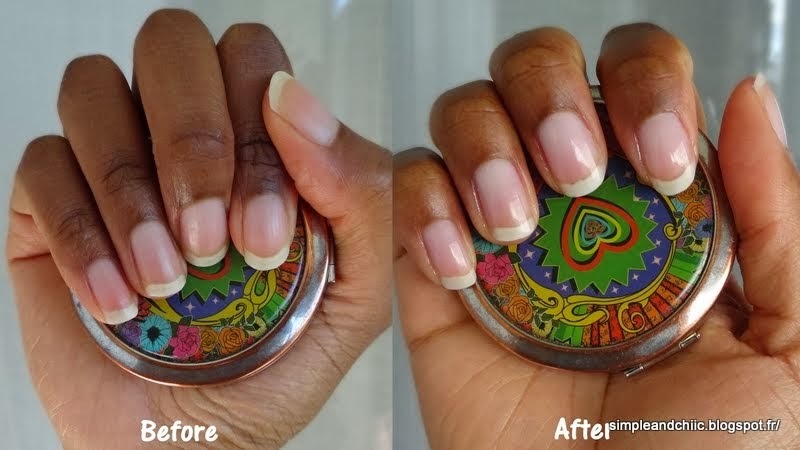 This product is designed to make the white part of your nails look whiter. It is only a superficial effect that will last as long as the nail polish is on your nails. My nails are naturally pretty white but you can still notice on the pictures that it is a bit whiter afterwards. Now don’t get me wrong this product will not give you the sameresult that a french manucure but it does make your nails look a bit whiter This nail polish is easy to apply, it has a nice brush and it does not take forever to dry. It is transparent but you need to know that under certain lights it becomes fluorescent; I found out about that a few years ago when I was in a club, the color is similar than wearing a white bra under a white top. I know that colored nail polish is fashionable nowadays but sometimes in certain situations it is inappropriate or sometimes I am just tired of it, or too lazy because we also need to maintain it very well as colored nail polish are only cute when they look perfect. With a transparent one nobody will really notice if it is not 100% perfect . So why not kill 2 birds with one stone and choose a product that not only will be easy to maintain but that will also make your nails look done, whiter so nicer, presentable and nice. To sum up I love this product !